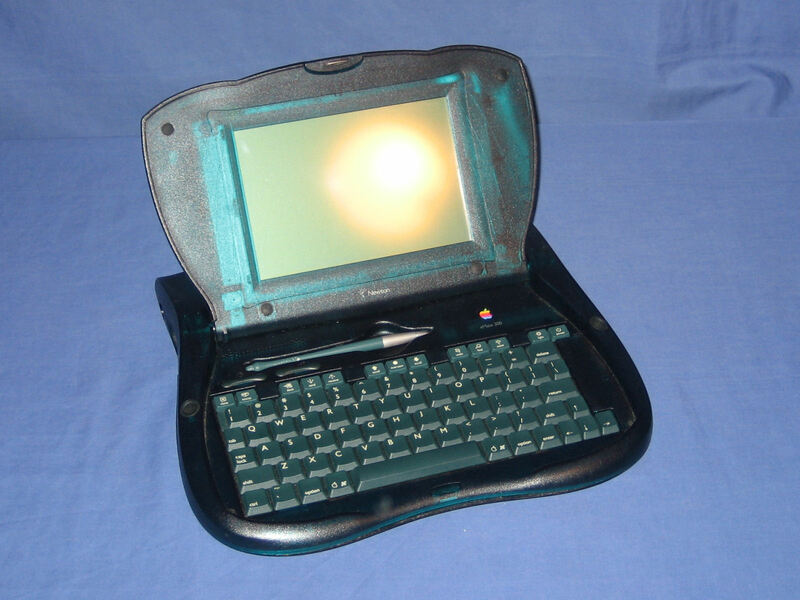 The top of the eMate 300 with the lid closed. Visible at the top is the integrated carry handle. Opening the lid of the eMate 300 exposes the monochrome LCD touchscreen, keyboard and stylus in its holder. 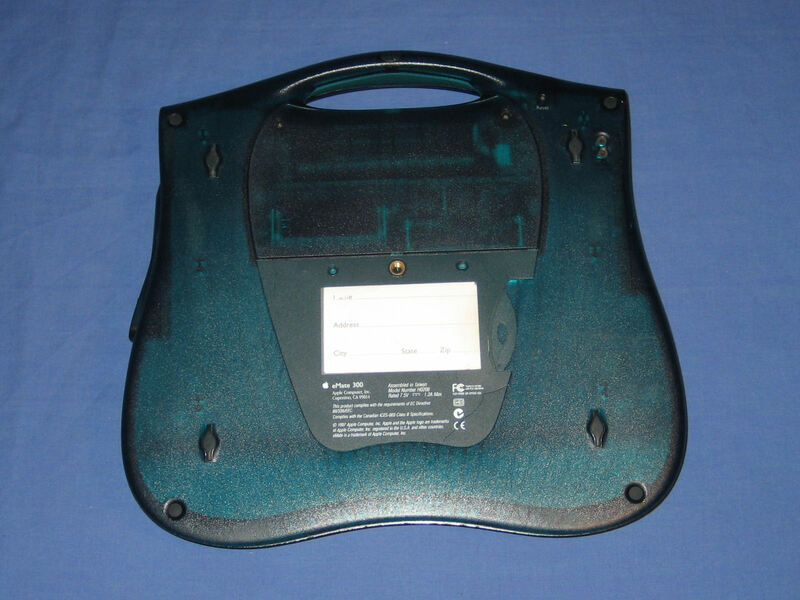 The underside of the eMate 300.
eMate 300 User's Manual and Connectivity CD. 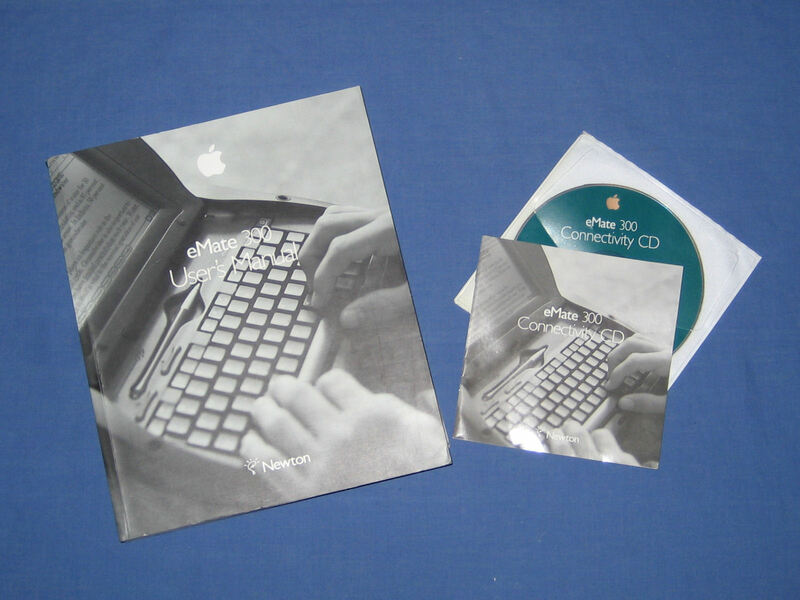 "One of the things I didn't like about the eMate was it's speed. It was kinda slow. This page describes how I sped it up."